We were staying in Orlando when tragedy struck a tourist family visiting from Nebraska: an alligator grabbed their wading 2 year old and pulled the baby into the lake at a Walt Disney World resort. We were all in shock- well, still in shock after the previous Orlando shootings, and now this. As a parent and outdoors person, (I was recently chased by an alligator myself). I can only imagine how awful those poor parents must feel. There are no words that anyone could say to ease the pain of their loss. I can only hope that they eventually find peace in their hearts. Reading the news reports, the unwitting and ill-informed try to toss blame towards someone, but the truth is that there is no sense to laying blame, as the unsuspecting parents (not of this region), could not have known what prehistoric creatures inhabit our Florida waters, and the folks at Disney didn’t expect the native wildlife to go hunting humans. Unfortunately, our Florida gators (and not the friendly orange and blue kind) have been making headlines in Florida on a regular basis. A gator in Lakeland, found with a backpack and a body. The gators in the Everglades swamp discovered dining on human remains. That 15-foot gator in the cow-field pond that was munching on cows. The alligator that pulled a woman, who was out walking her dogs, into a lake. Have these alligators suddenly found a taste for us? Has the animal world gone crazy? 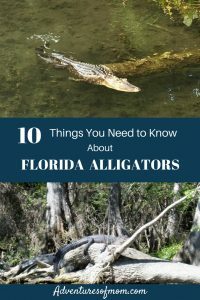 It is illegal to feed alligators in the state of Florida. Illegal. Against the law. It’s not cute or funny. Even those little gators can take a finger- or more off. And gators can grow big. Incredibly big. 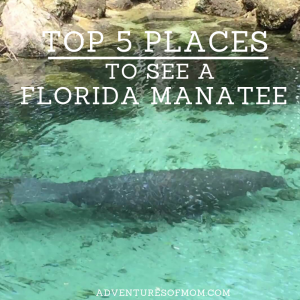 Just swing by the Alligator Farm in St. Augustine or Gatorland in Orlando to see just how ginormous they can grow, and yes these enormous alligators live out there, not only in our Florida zoos and alligator farms but also in the Florida wild. 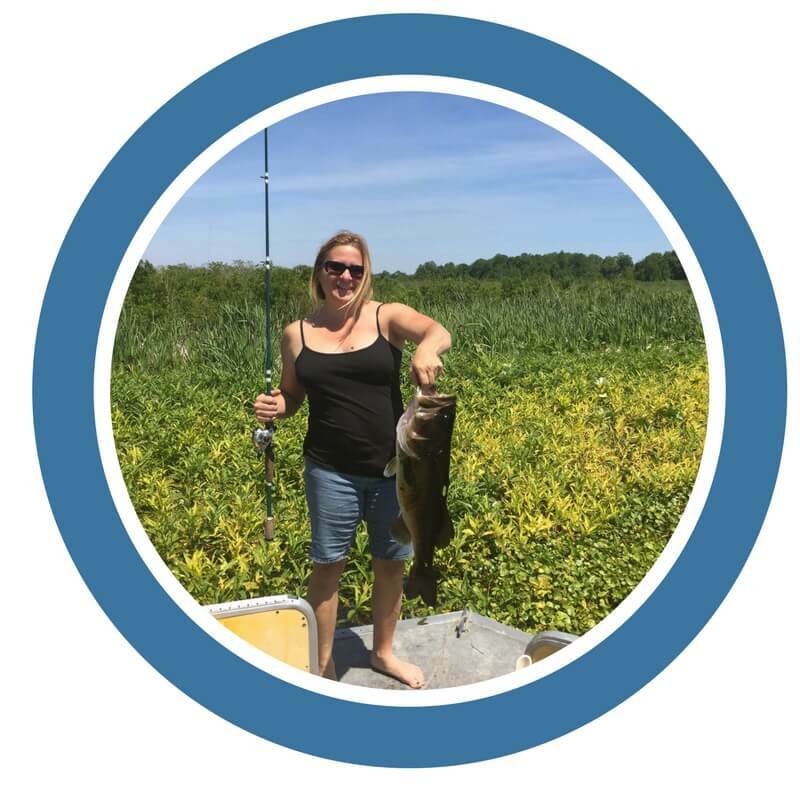 Ever see one of those gator shows where the huge gator jumps for the chicken on a pole? I encourage everyone to check it out, because for having such big bodies, they are agile high jumpers! 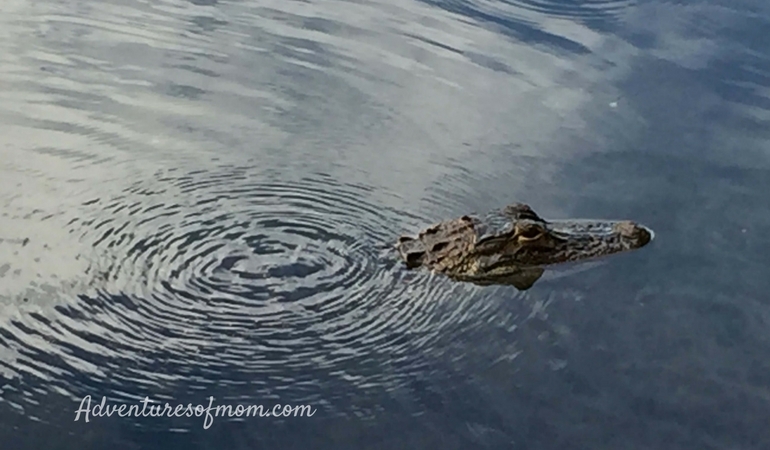 My husband and I saw a ginormous alligator at twilight on a river near us. It was so big that we thought it was fake. It wasn’t. 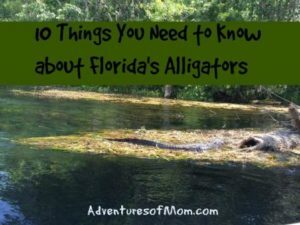 Everyone in my family has seen the giant gator in Silver Springs. Then there was that one on the Wakulla River. Let’s not even discuss the tannin stained infamous gator-waters of the Withlacoochee. People have had their kayaks and canoes bumped from beneath by giant gators. These alligators are everywhere. If there is a body of water, there are gators. This is Florida. We live with monsters. 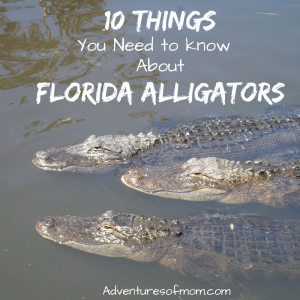 The alligators, ancestors of prehistoric creatures, were here long before us humans. For the most part, these gators leave people alone and eat turtles, otters and even deer. Small things, like dogs, cats and yes, small children, are viewed as food. I remember my own daughter being stalked by an alligator. We were hanging out on Grandma’s dock and a large gator hung out in the water nearby, watching and waiting. It made me so uncomfortable that I held my little girl tight and ended up leaving the dock. Alligators have done the same with Grandma’s dog. They don’t see the difference, just small creatures. Other states have their problem animals: a Colorado child had a run-in with a mountain lion recently and I remember reading about a wolf trying to carry off another child. And those coyotes. They take cats and small dogs. Hawks and larger birds of prey do the same. 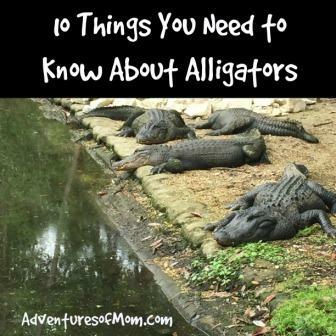 But before you cancel your Florida vacation plans, there are somethings you should know about alligators to keep you and your family safe. Knowledge is power, right? Knowledge is power: keep your family safe. If it is a body of water, it could contain an alligator (even large puddles). Retention ponds, areas flooded from our torrential afternoon rains and even swimming pools. Yes, always look before you leap. Alligators travel across land to reach water. If there is water, always assume there is a gator. Avoid alligators. If you are kayaking, canoeing, boating or even snorkeling and see a gator, don’t paddle towards it. The selfie is not worth it. 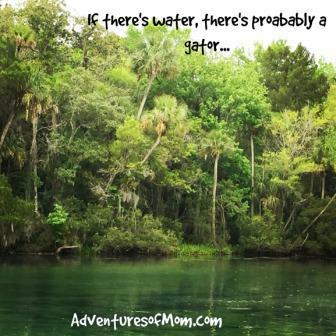 I directed my kids down another waterway when I spotted a rather large gator ahead (they didn’t see it, but I suspect it was the same one that chased me on our way back). Alligators move incredibly fast. Even on land. Never approach an alligator. Ever. If an alligator hisses at you, it is like a dog growling a warning. Get away fast. My son got hissed from the weeds while working on a river clean up project. It was warning him to get away (he did). Alligators like the weeds. If you are on the river, stay away from the weeds & weedy riverbanks. Snakes also hang out there. Alligators are more aggressive during mating season and also if they are guarding a nest or their babies. My husband’s nephew was chased by a mother gator once after accidentally stumbling across some babies. If you see a baby gator, get out of the area fast. There’s a mama somewhere nearby. Alligators are nocturnal hunters. They hunt from dusk to dawn. My husband took me out to his parent’s dock one night when we were first dating and shone a light over the lake. The amount of shiny eyes across the lake was phenomenal. Prime gator hunting grounds. Don’t go swimming at night. Alligators like to eat dogs. Really. I don’t know why. A couple of years ago, a man was attacked on a nearby river by gators. He swam there all the time, but took his dogs there after sundown for a dip. So if you are taking your dog on your boat, paddle board or kayak, you are drawing gator attention to you. Be aware. If you are at the water or on the water, always be on the look out for alligators. I used to take my kids swimming at a nearby river beach and we had an official ‘gator watcher’. The man who collected the day use fees would keep watch for alligators in the swim area and alert swimmers to get out of the water if he saw one. That’s good and all, but humans are fallible. 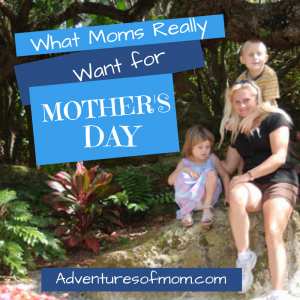 There were many times that us moms told him about a gator-sighting. Don’t rely on someone else to be your watcher. Be vigilant. Never, ever, feed an alligator. Besides being illegal (and I am guessing that after the Orlando tragedy, they will start heavily enforcing this), you are creating a future problem for other people. They can get their own food. The truth of the matter is, yes, alligators are the top of the food chain, not us. But bad alligator encounters are actually rare, considering the amount of people on the water in Florida. Your chances of being in a car accident are greater than having a bad alligator encounter. Arm yourself with knowledge. Though it will be difficult to teach tourists and other foreign visitors about these prehistoric creatures that we share our state with, perhaps the flights and hotels will begin to supply warnings to visitors. If you do encounter a problem gator- ie one that attempts to approach you in the water or on land, please do report it to the proper authorities. 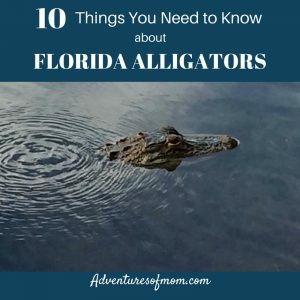 Although I am not an official expert on the alligator subject (I don’t have a gator-degree in other words), I have gleaned my information from years of personally dealing with alligators and stories from my reptile-loving & Ross Allen fan-dad, my husband and his family (they grew up playing in Florida swamps), and my friends. 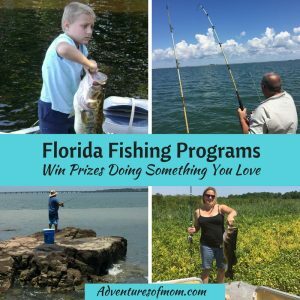 Do you have any tips about gator encounters?